This week on The Bugcast: we reflect on the England World Cup team’s success, the work done to help rebuild people’s futures, unwell-thought-out plans, plus we play 8 cracking tracks of Creative Commons and independent music! from Second Impact Syndrome, Bad Dog No Biscuit, Stoneface Priest, Esther Garcia, Dondi, Frank Rawel, Townhouse Woods, and Daniel Catarino. 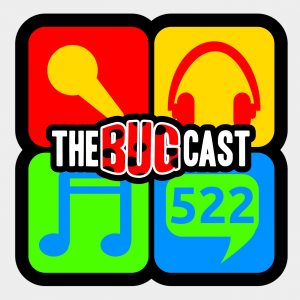 This week on The Bugcast: more legendary departures, a discussion about discrimination, and our usual mix of 8 fantastic independent and Creative Commons tracks from Malevo, Van Susans, Yury, The Sky Catching Fire, Marcello Correa e Castro, Lost Souls On Broadway, Daniel Catarino, and The Madpix Project.